Kasaragod has the rare distinction of housing some of the historically and religiously important places of worship in India. 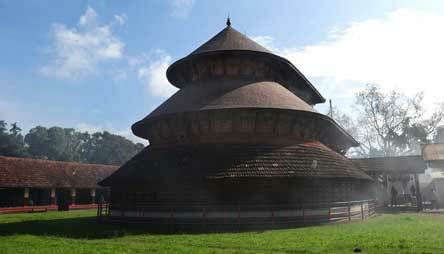 This temple is situated at Ajanur, about 5 km from Kanhangad, in Kasargod District of Kerala. It is a highly revered temple dedicated to Goddess Bhadrakali. Kshetrapalan, Bhagavati, and Bhairavan are the other deities worshipped here. The most noteworthy fact of the temple is that a Brahmin priest performs puja only in the noon. The morning and evening pujas are performed by a division called Maniyanis. The annual festival of the temple is famous throughout the district. These festivals are usually conducted during the months of May and June. This temple is mainly famous for the Bhutha dance held during the annual festival. Considered to be one of the most ancient existing temples of the Gowda Saraswat Brahmins. The temple here is dedicated to Srimad Anantheshwara, which is Shri Shiva accompanied by Shesha or Anantha. The image of Lord Shiva is believed to be Swayambhoo or Self Emergent. There are also images of Lord Narasimha and Subramanya in the temple. The annual chariot festival, which happens in the month of November or December is one of the major festivals here. It is popularly known by the name of Manjeshwar Shasti. On this day, an elegantly decorated six-wheeled chariot named Brahma Ratha is pulled along the street by thousands of devotees. This temple is located at a distance of almost 40 kilometers from the town of Bekal. It is about 1.5 kilometers from the Manjeshwar Railway Station. Equally significant is the 9th century Ananthapuram Lake Temple, said to be the original abode of Ananthapadmanabha, the presiding deity of Kerala's most famous place of worship, Sree Padmanabhaswamy Temple. 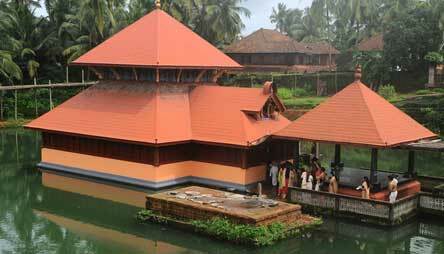 This temple is the only lake temple in Kerala. It is believed that Lord Ananthapadmanabha went all the way to the capital city of Thiruvananthapuram through a cave present in the right corner of the lake. In fact, this lake is guarded by a vegetarian crocodile named Babia. Once a British soldier had shot the crocodile dead and after a few days, the soldier had died of a snake bite. Then, later on, another crocodile had appeared in the lake. There is always only one crocodile in this lake that the devotees pay great respect to. Situated 30 km from Bekal. There are two old Jain Bastis at Bengara Manjeswar on the southern bank of the Manjeswar River. Jainism was the first missionary religion to reach present Kerala in BC fourth century itself. The Pattanam excavations prove this historical fact beyond doubt now. Indian roulette ware with the inscription "Amana" meaning Sramana or Jain/Buddhist recently recovered from Pattanam near Muziris or Kodungallur testify the presence of Jain monks even in central Kerala itself around BC fourth century. 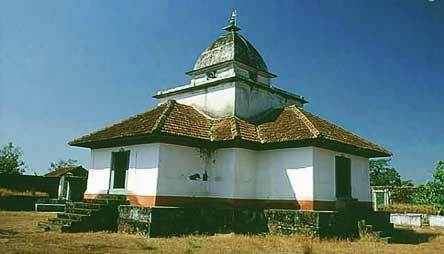 Manjeswaram was the headquarters of a Jain kingdom called Bengara-Manjeswar towards the northern frontier of present Kerala for at least 500 years from the 12th century onwards (Pathmakumar 43). According to scholars involved in Jain studies more than 800 families where here and the debris of a destroyed fort is still found in the region. The relics of an ancient stone temple near the river mouth of Manjeswar close to the Arabian sea is also a clear evidence of the Jain antiquity of the place. Manjeswaram still has two Jain temples or Jaina Basatis on the southern shore of river Manjeswar still called Bengara after the Jain kingdom. There are also a few surviving Jain families here near Hosangadi to the west of NH 17 around the Parswanatha Basati. About 11 km from Kumbla on the Kumbla -Badiadka road is the Mother Dolorus Church of Bela. The hundred-year-old Roman Catholic church is built in the Gothic style. The Our Lady of Sorrows Church constructed in 1890, is the oldest in the district. This church is 15 kilometers north of Kasargod. 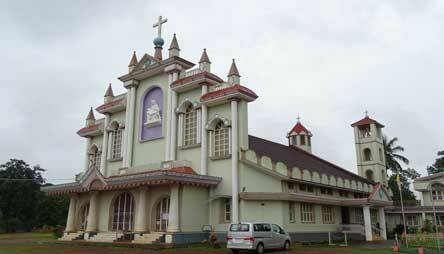 The church is under the management of the Mangalore Diocese. This church was originally a small thatched church at Kudrepady built by the migrated Konkani Catholics. This was later on moved from there to this current location. The renovation of the church was done in the year 2001. In the month of December, the church celebrates its annual perunal(festival). Anandashram or Abode of Bliss is an internationally renowned spiritual center, 15 km from Bekal. 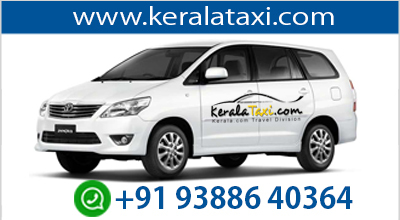 It is located at Kanhangad of Kasaragod district. It was founded in 1931 by Swami Ramdas and Mother Krishnabai who are fondly called as Papa Ramdas and Pujya Mataji. They wanted to spread the message of universal love and service to humanity. The ashram is situated on the side of the Manjampally Hill, which stands at a height of 250 meters above sea level. As you enter the compound, you will find your senses soothed by the very ambiance of the green, tranquil place that is ideal for introspection and meditation. A video on general information about the ashram will help first-time visitors to get acquainted with it. The chanting of the mantra 'Om Sri Ram Jai Ram Jai Jai Ram' is the central and the single activity is done in this ashram. Nowadays this mantra is chanted from 6 am to 6 pm, at one of the three samadhis or tombs in the ashram. Among one of the various places of worship at Kasaragod is the Malik Dinar Juma Masjid – believed to have been built by Malik Ibn Dinar – at Thalankara. 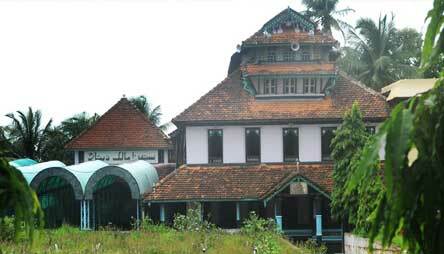 Kasaragod has the distinction of being the center of Islam on the Western Coast. This mosque has the grave of Malik Deenar, who is one of the Taabayeens. They are those people who had seen the companions of the Islamic prophet Muhammad. One of the main observations of the Indian Muslims is the Malik Deenar Uroos, which is the celebration of the arrival of Malik Deenar to Kerala. This usually takes place during the holy month of Muharram and goes on for a month. 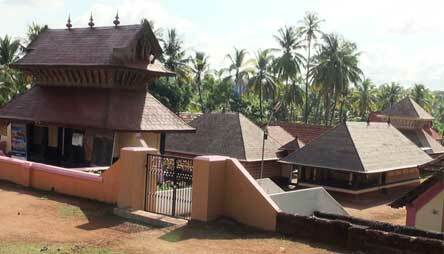 The Sree Mahalingeswara Temple at Adoor on the banks of River Payaswini. 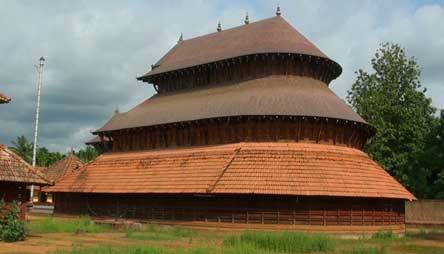 This temple is one of the most splendid temples of Kerala. As per the mythology, the Shiva Lingam of this was said to be spotted by a Harijan, an untouchable. Since it was a common man the day is celebrated with great pomp and enthusiasm. The temple is believed to be built by the great archer of the epic Mahabharata, Arjuna. The Makara Sankramam is one of the important festivals here. This includes a holy dip in the Payaswini River and concludes with mass feeding or Annadhanam. Madhur Temple with its rich architecture and copper plate roofing. 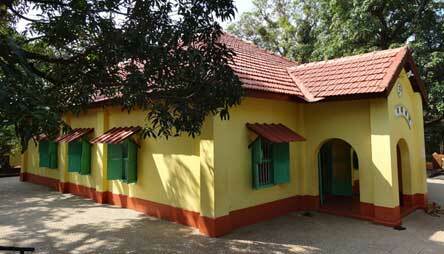 It is located at a distance of 7 kilometers from the town of Kasaragod. This is the greatest temple of Lord Shiva and one among the six famous Ganapathi temples of the ancient Tulunadu. It was originally called as Madarantheswara(Shiva) Temple. According to the ancient folklore, the Shiva Linga here is Udbhava Murthy meaning not made by man and it was discovered by an old woman named Madaru belonging to the Tulu Moger community. The picture of Ganapathy was drawn on the southern wall of the sanctum sanctorum by a small boy while he was playing. This picture began becoming bigger and fatter day by day and this was called as 'boddajja' or 'bodda ganesha'. Ganesh Chaturthi and Madhur Bedi are two of the important festivals here.